You know that NewGen Restores has been the leading carpet cleaning company in North and South Carolina for more than 40 years. You’ve learned how their tried and tested cleaning methods can take years off your carpets. You’ve even read all about the other cleaning services they offer for both residential and commercial spaces. But there’s more to the company than just quality and value. 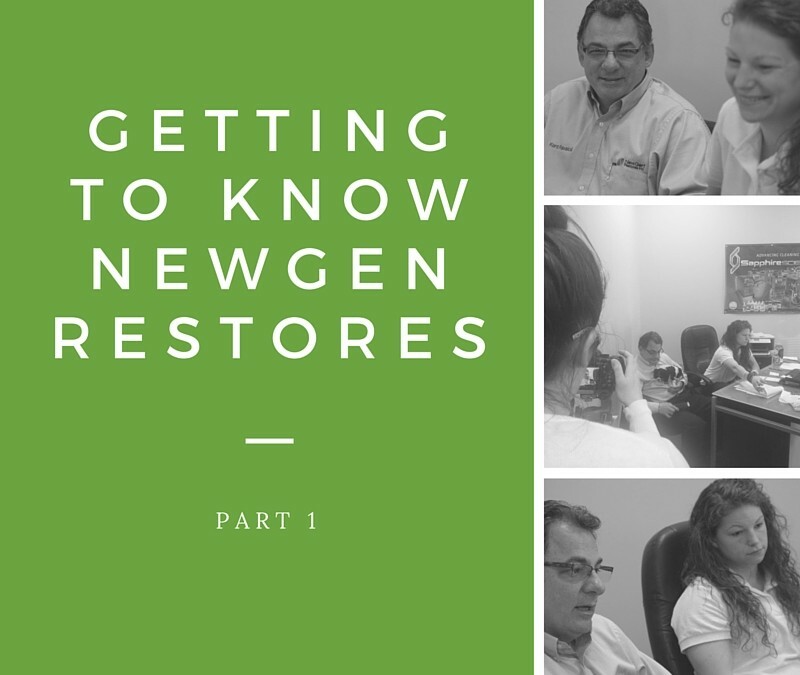 At NewGen Restores, we are truly passionate about delivering a service that’s a cut above the rest, and we go the extra mile to ensure that this happens. We sat down with Kent and Liz Ravaioli, the people behind NewGen Restores, for an intimate chat about how we’re different even when it comes to small details you might not have considered. In the first of a four-part series, we discussed why we ask clients to provide measurements and the importance of being licensed, bonded and insured. Why Do You Ask For Measurements? Measurements don’t have to be precise down to the last inch. Even an approximate figure will do. However, if you know the square footage, we can give you a very good ballpark number, so you’ll know more or less how much our service will cost up front. This holds especially true for hardwood flooring, because cleaning cost is calculated by square footage. And the same goes for cleaning tile, grout and area rugs. When it comes to carpeting, on the other hand, measurements won’t be that important. This is because, typically, up to 300 square feet of carpeting will cost the same. It’s only when you have a larger area that the cost will start to go up. 300 square feet is pretty huge, and we find that most carpeted areas will cover less square footage than this. But square footage isn’t the only thing that will affect the cost of our service. Other factors that have a bearing on the price include how much furniture we’ll need to move and the general state of the area we’re going to clean. Yes we are licensed, bonded and insured. This means that we have received the proper training and that we are officially recognised as a serious and reputable business. And by being bonded and insured, we’ve also put our money where our mouth is, because we’ve paid up a certain sum that will be available to our customers in case something goes wrong. At NewGen Restores, we are thoroughly trained, which means that it’s very unlikely we’ll break something or have an accident on the job. But even though it’s unlikely, bad things can and do happen. We are insured for over $10 million, which means that if something happens, you can rest assured you’ll be more than adequately compensated for any damages and associated costs and expenses. Our insurance also covers our employees; and this puts us a step above other companies. We’re not going to sue our customers or go after their home insurance if one of our employees is injured whilst on a job, because our own insurance policy more than covers us in these circumstances.